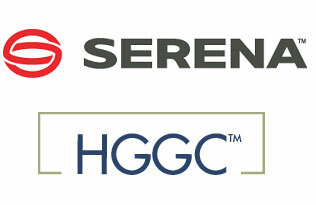 Right on schedule, we closed the sale of Serena Software to the partnership of private equity firm HGGC and Serena founder Doug Troxel. Since the announcement of the acquisition on March 10th, I’ve spoken with many customers and prospective customers about our new financial partners, and everyone is excited and positive about the transition. HGGC seized the opportunity to invest with Doug Troxel because they believe in Serena’s strategy and our opportunities ahead. Our customers see this investment of smart new money as a strong validation that we’re on the right track. I’m personally very excited about this new chapter for Serena and firmly believe that the best is yet to come. I am looking forward to working with Doug Troxel and our new board members from HGGC, Rich Lawson, Steve Young and Hudson Smith. For regular updates about Serena, please subscribe to Serena’s monthly xPress newsletter, xPress.